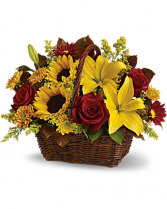 Brown Basket filled with red roses, sunflowers, lilies, with other various fillers and greens to go with the season. 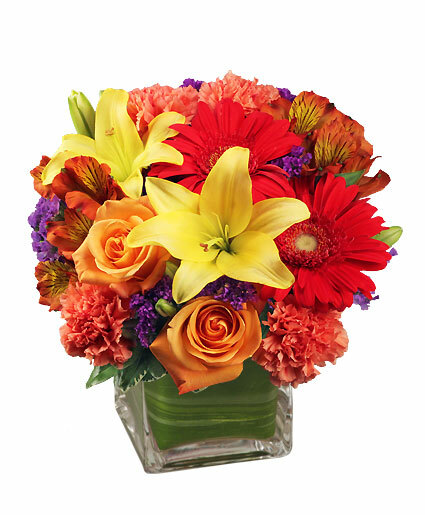 Send colorful flowers from THE WILD ORCHID FLOWERS to remind them how much they are loved and appreciated. 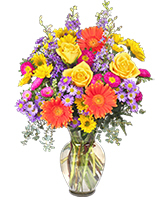 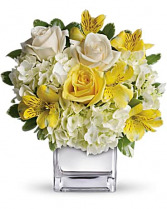 Call today or order flowers online 24/7.